Kingston vinyl railing is now available in a steep stair option, for installations up to 41 degrees in angle. Kingston vinyl railing is available in Almond, Clay and White, with the traditional balusters being available in Almond and White only. 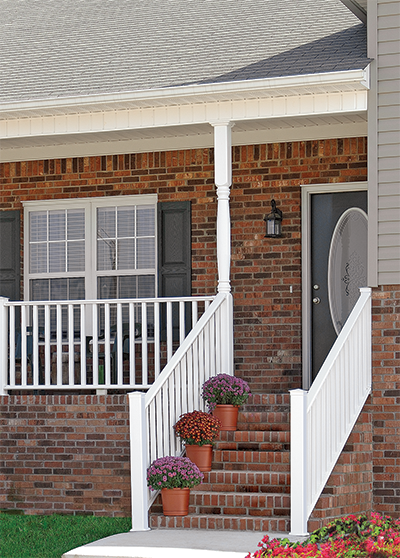 Kingston includes high quality aluminum rail mount brackets for increased safety and security. All the aluminum brackets are completely concealed by new longer vinyl bracket covers.